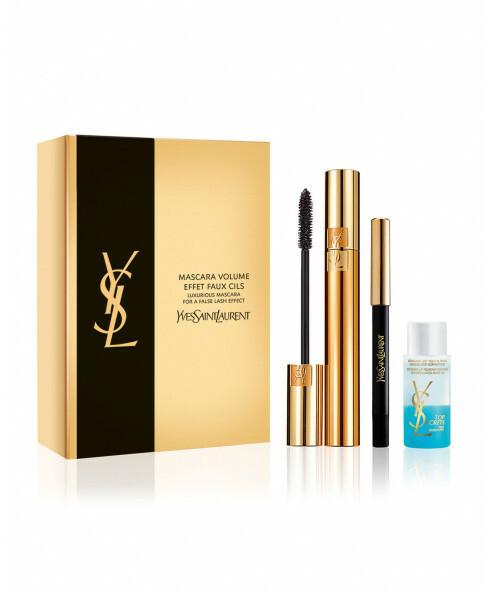 This most coveted makeup set includes award-winning Mascara Volume Effet Faux Cils for dramatic voluminous lashes. Mini waterproof Liner—the look of a liquid with the precision of a pencil that delivers lasting stay-true color that always looks fresh. Top Secrets Eye Make Up Remover removes all make up instantly without leaving an oily film and strengthens the lashes.